North Korea is carrying out rapid improvements to its nuclear research facility, a monitor said on Wednesday, despite declaring a commitment to denuclearisation of the peninsula at the Singapore summit. 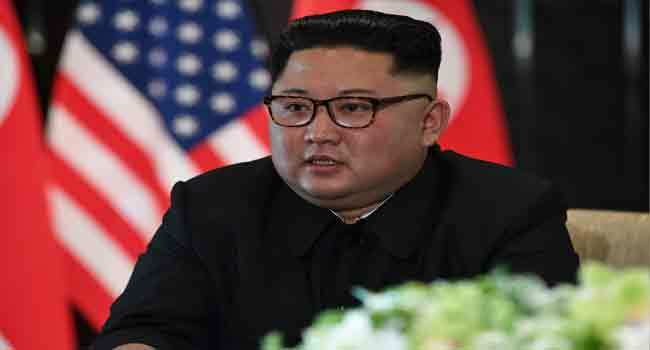 The nuclear-armed North’s leader Kim Jong Un promised to “work toward” the goal at a landmark summit in the city-state earlier this month with US President Donald Trump. But the Singapore meeting failed to clearly define denuclearisation or produce a specific timeline towards dismantling the North’s atomic weapons arsenal. But recent satellite imagery showed that not only were operations continuing at present at the North’s main Yongbyon nuclear site, it was also carrying out infrastructure works, said the respected 38 North website. “Commercial satellite imagery from June 21 indicates that improvements to the infrastructure at… Yongbyon Nuclear Scientific Research Center are continuing at a rapid pace,” it said. It noted “continued operations” at the North’s uranium enrichment plant and several new installations at the site — including an engineering office and a driveway to a building housing a nuclear reactor. But continued operations at the site “should not be seen as having any relationship with North Korea’s pledge to denuclearise”, it added. Nuclear officials could be “expected to proceed with business as usual until specific orders are issued from Pyongyang”, it said. The North last month blew up its aged but only nuclear test site at Punggye-ri — where it had staged six atomic tests — in a show of goodwill before the summit. US Secretary of State Mike Pompeo has been pushing for more follow-up talks to flesh out details over denuclearisation but no date has been set for when they would take place.